Can a sane woman kill her own children? Julie Schenecker is not the first woman accused of murdering her children… and she is not the first to claim legal insanity at trial. As a matter of fact, there are two cases Vinnie Politan has covered where mothers killed multiple children and claimed they didn’t know right from wrong. They took their cases to trial and juries had to decide guilty or not guilty by reason of insanity. In both cases, both mothers were found not guilty. The first case you probably know very well. 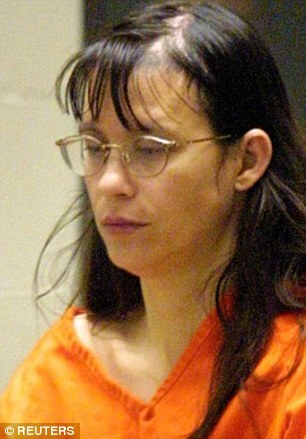 Texas mom Andrea Yates drowned her five children. Her initial murder conviction was overturned and a second jury found her not guilty by reason of insanity. Today, Yates is still locked up in a mental facility but doctors treating her say her condition has improved. She has asked for permission to go to church and visit her children’s grave sites. The other mother you may not know much about. Her name is Deanna Laney. She, too, is a Texas mom. Laney bashed her young children’s heads with rocks, killing two of them and critically injuring the youngest. Laney was found not guilty by reason of insanity. She has since been released from her mental health facility and now lives and gets treatment from the outside.